Or, character. Character is one of those nebulous words. It's kind of a catch-all phrase that can be used in so many ways. You'll hear people say "well that says something about his/her character", or "it builds character" - which is substantially better than "it puts hair on your chest", but certainly (maybe thankfully) less descriptive. And yet, character is such an important and integral part of a person's makeup. Essentially, it's who they are. It encompasses their values, their morals, their actions, the way they treat others. It's also something we tend to judge in others, and base our opinions of them on what we believe to be the quality of their character. So today, I have a few questions to pique some thought on this topic. How would you honestly describe your personal character? Are you happy with that description? If so, is there anything you'd like to be part of that description that isn't - something you want to work on? If you are not happy with it, why? Are you being too hard on yourself? i.e. If you were describing someone else's character this way, would you feel it was positive overall, yet you aren't happy when it describes your own? Do you feel others view your character the same way you do? Why or why not? I realize this last question might get me some flack. I ask it for two reasons. One, how many of us are our own worst critic? I know I am. I've heard people describe me (both to myself and others, when I wasn't supposed to know) and thought "wow, they really think that highly of me? I never knew!". However, we can also learn a lot from others. Let me say up front, it's important to know who to take to heart and who to discount. Some people say negative things not to help you, but to put you down for whatever reason - often to make themselves feel better. Others, however, may genuinely tell you things in an effort to help you grow and be happier in the long run. I've had one particular very trusted friend tell me things that he and others saw in me that I never knew - and they weren't particularly positive. I took them to heart, though, and I've worked really hard on them. We've since discussed this, and we both feel I've come a long way. I'm grateful he was able to honestly discuss my character with me. How do you feel about the questions above? Were they easy or difficult to answer? Did they cause you to take a good look at not only your own character, but also that of others? I know they did for me. They forced me to look a little deeper not only at my judgements of myself, but that of others as well. But life can't be all serious. 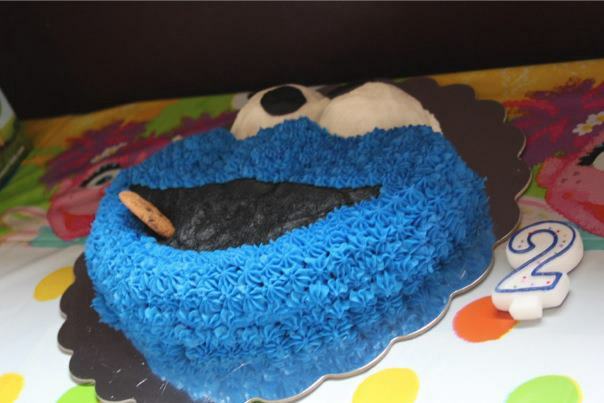 So while you're thinking about the character questions above, enjoy this picture of a Cookie monster cake from my niece and nephew's 2nd birthday party. I was born on the first day of Libra (and some years, the fall equinox). I was actually born a bit past my due date, which means if I'd been born "on time" I would be a virgo. I love the fact that I waited to appear in this world until the day of my real sign, because I'm a libra through and through. I'm a person who needs balance, justice, fairness, everything evening out. If you're not a person that's into astrological signs, stay with me. That's just simply the preamble to the rest of this post, used to point out the importance of balance in my life. Because regardless of your sign, I think balance is a difficult-to-achieve, yet necessary, aspect in everyone's life. There are so many places in our lives where I feel balance is crucial. Here are some of the most important in my mind. Work and play. We all know the saying "work hard, play hard". That kind of makes it sound like you're half workaholic and half a member of animal house. But truly, our society - in the US especially - pushes work so much more than relaxation and fun. We're expected to be available by email or smart phone practically 24/7. We have 50 or 51 weeks a year of work, and one or two vacation weeks. While I understand that these can't be equal, 51 to 1 seems a bit extreme. Keep in mind, play doesn't have to be party hardy. It can be a round of golf, taking a dance class, a spa day, reading in the park. Anything that's not an obligation and that you enjoy. You time and them time. Let me say it now: spending time alone is perfectly ok and in fact necessary. You need time to just spend with yourself. To not have to worry about anything or anyone else, even if it's just a few minutes a day (though more would be ideal). Creativity and logic. I don't care if you have a job that you feel is 100 percent logic/fact based. You need, at some point, to let your creativity out. It doesn't have to be a magnificent work of art and it doesn't have to be for anyone to see. But do something, anything, to utilize the other side of your brain. Dreaming and doing. Everyone needs to dream. But in order to potentially reach those dreams, you also need to plan, and do. Dreaming is the first step - figuring out what you truly want. Then you also need to be able to move forward towards those dreams. Planning and "letting it happen". I'm a planner by nature (and career) so this one is tricky for me. While I believe sometimes the best things happen when you least expect it, if I didn't plan some things (ie what time to get up in the morning, what to work on at work that day), I'd never get anything done. At the same time, you know what they say about the best laid plans... Keeping an open mind, even when you have plans in place, can be the best of both worlds - it allows room for the unexpected, which may turn out to be just what you want and/or need, but it doesn't leave you just floundering there with absolutely no direction. There are plenty more, but these are some of my favorite examples of balance. The allow for the ebb and flow of life, the shifting back and forth of the scales until they even out enough to make life well-rounded. Can you think of other examples? Where do you need balance in your life? On my Chimera Travel Facebook page, I started an alphabet theme. Each day, I post a picture of a city I've visited, going down the alphabet day by day. So I started with a city that begins with A, and am ending with a city that begins with Z. The concept has worked well, and I thought, what if I did the same with this blog? There has to be a trait, characteristic, topic that begins with each letter - I'll admit I might have to cheat on "x" - that I could use for the basis of a blog. After a brief skim through in my mind, I found more than one for most letters, many of which could make excellent topics. And so it begins. 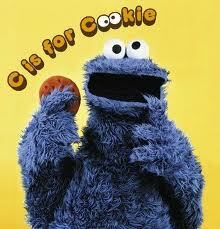 The next blog will surround a topic that begins with the letter "A", and I'll go from there. Have suggestions? I'm happy to take them! I'm a fully admitted, self-proclaimed control freak. It's not something that I'm proud of per se, but just something that has always been inherent in my personality. The good thing about being a control freak is that in a bubble, you tend to be super productive and get everything done with a very high quality. The obvious down side is, we don't live in a bubble. Which means that life happens, and the inability to control it leads to high anxiety and failed perfectionism. It's a vicious circle. Being diagnosed with cyclothymia four years ago was a huge wake up call for me, to be totally cliche but also totally accurate. It was the first time that I could honestly look in the mirror and say to myself, "you cannot control everything and you never will be able to." While you'd think it wouldn't have taken such drastic measures for me to get this concept, it did. To be completely honest, it's one I still struggle with. I know logically that I can't control everything in life, but experientially it is not so easy to grasp. For some reason, finally having an answer to why I was feeling the way I was helped me take the first steps. I've always been so tough on myself, thinking "maybe if I just... what if I tried a little harder..". Now, I understood that all of the weird emotional twists and turns inside my brain weren't always my fault. This isn't to slough off all blame - I still have to work hard to make life the best I can and make efforts to not exacerbate my condition - but for the first time I understood that I couldn't control every single thing inside my brain if I only tried hard enough. And when I grasped this, it became easier to see that I could not control outside situations either. The last six months, I've been really working on the ability to accept this lack of control. In fact, I've been trying to actually embrace it. If my brain gets 10 random ideas flying into it, instead of thinking "well that's stupid, that could never work" I tried to pay a little more attention. Maybe there's an idea or two worth considering, especially if they keep coming back to me. Maybe in trying to shut out my rambling brain, I've been shutting out some instinct and intuition as well. Similarly, when outside circumstances don't go according to plan, I've been trying as best I can to see where they lead me instead of being so determined that I know exactly how things should go. I'm not a "everything happens for a reason" person (though I respect if you are, to each their own), but rather perhaps I'll discover something knew, maybe even better, if I'm forced to get outside the lines I've drawn for myself. Many times I'm finding I'm actually liking the results, and it feels nice to be a bit more free. It's not a quick learning curve, but I'm trying every day to be a little more accepting. What aspects of life do you grip so tightly that you could loosen up on a little bit? A few months back I went to Haverford College to help my dad with an event in conjunction with the anthology of disability poetry that he co-edited, Beauty is a Verb. I love when the universe seems to come together through small nuances, which is just what it appeared to do that night. When we showed at the event location, I found sticky notes posted all over with little sayings and motivations, basically centered around loving and accepting oneself. While the anthology focuses on physical disabilities, and these seemed to focus more on mental health, I loved that those showing for a reading whose topic centered around disability came in to mini notes of acceptance and love. I meant to post this months ago (like the following week), but I guess better late than never. Here are some examples of the notes that I found. Aren't they awesome?! Just reading them while going over this post makes me feel better. If you were to leave a sticky for someone else, what would it say? If someone were to leave a sticky for you, what would you want or need it to say?